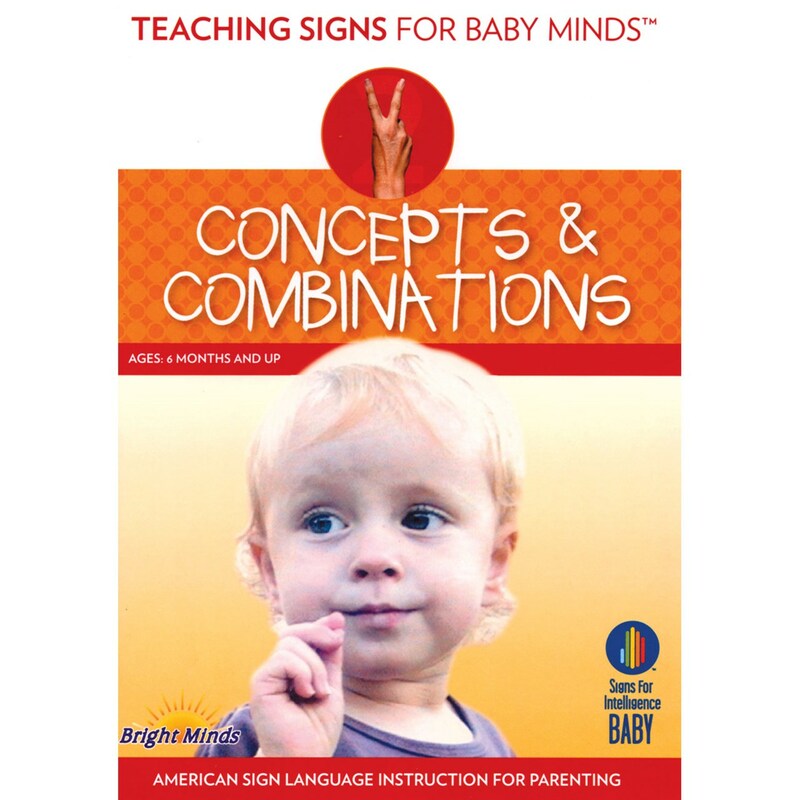 This exciting DVD helps parents and families expand early two way communication with their babies and toddlers. Created by a deaf mother the DVD includes voice, sounds and colorful images that make learning sign language fun and easy. Connects multiple words to form complete sentences. You will be amazed at the advanced concepts your little one can understand. Small, Big, Short, Tall, Left, Right, Go, Stop, Blue water, Good morning, Good night, Green grass, Look down, Look up, Black bear, Red dog, Yellow flower, White bear, Black, Blue, Green, Red, Yellow, White, One, Two, Three, Four.